Tinytags monitor power usage and environmental conditions locally or throughout a premises, helping to identify where steps can be taken to improve energy efficiency and maximise cost savings. Specialist industrial lubricants manufacturer Interflon uses the Tinytag Energy data logger to show its customers how using its products result in energy savings. 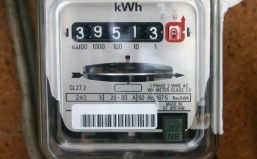 The Tinytag Energy Logger is being used to provide commercial customers with information about power consumption and key areas of energy usage. For higher consumers of electricity such as those in the manufacturing sector, power usage monitoring and energy efficiency measures are of particular importance. Identifying electrical consumption is of key importance in helping to reduce and control energy usage and costs. Regular power usage monitoring of plant and equipment in industrial facilities can perform an important role in ongoing energy efficiency schemes.